Press and News Articles | MCM Consulting Group, Inc.
Officials in Luzerne County, Pa., are trying to put hard figures to a migration away from an outdated emergency communication system — support for existing transmitters and receivers will end in late 2020. (TNS) — Luzerne County, Pa., has invited vendors to submit proposals for its 911 emergency radio upgrade, which will finally put a firm price on a project that had been estimated at around $20 million. “Now it’s time to give council and the county manager real numbers to work with so we can figure out what we’re able to afford,” said county 911 Executive Director Fred Rosencrans. Luzerne County has invited vendors to submit proposals for its 911 emergency radio upgrade, which will finally put a firm price on a project that had been estimated at around $20 million. County officials want to switch from a 20-year-old analog system to a digital one because equipment support for the radio transmitters and receivers that allow emergency responders to exchange messages will end Dec. 31, 2020. The system won’t automatically shut down on that date, but replacement parts have become increasingly difficult to find because they are no longer manufactured. John Grappy, left, director of Erie County Public Safety, and Erie County Executive Kathy Dahlkemper in October 2017 show off some of the portable radio units that will be used as part of the county’s Next Generation Public Safety Radio Project. What you need to know about the $26.4 million program that’s about to go into effect. Julie Jameson is a post graduate intern at MCM Consulting, working primarily with the director of client outreach, Mike Rearick. She will be assisting with outreach efforts for conferences and events as well as working on website content and photography. She is a graduate of Duquesne University with a Bachelor’s Degree in Corporate Communication. She graduated in December of 2018 with her bachelor’s degree, a certificate in business management, and a minor in philosophy. Throughout her studies she focused on marketing, public relations, strategic writing, and rhetoric. Julie interned with MCM Consulting Group, Inc, from May through August 2018, working on the Pennsylvania Association of Hazardous Materials Technicians conference, NENA conference, web design and other company projects. Council recently voted to hire Pennsylvania-based MCM Consulting Group for $380,357 to handle the first stage of the proposed $20 million 911 radio project. The company will help determine the county’s equipment needs, prepare a comprehensive bid seeking interested vendors and identify grants and other possible outside funding. The switch from a 20-year-old analog system to a digital one is warranted because equipment support for the radio transmitters and receivers that allow emergency responders to exchange messages will end Dec. 31, 2020, officials have said. "Expanding to a regional solution for Law Enforcement Records Management Services (LERMS) was a logical next step for the Northern Tier consortium," said Terri Nelson, PMP, project supervisor for the MCM Consulting Group, Inc .
"Integrating the records management system with New World CAD will greatly enhance data sharing across the 10-county region and will enable agencies across the area to create efficient workflows for improved effectiveness." WILKES-BARRE - A $20 million project to upgrade the Luzerne County 911 communication system from analog to digital has a project manager, following a unanimous county council vote Tuesday night. Council approved a $380,357 contract with MCM Consulting Group to manage the upgrade project. County officials say it needs to be completed by 2020, when the manufacturer will stop providing support for the analog system currently used by 911 dispatchers and emergency responders throughout the county. UNION CITY — Erie County Executive Kathy Dahlkemper marched through the mud as she approached the base of what will be a 263-foot-tall communications tower. She looked up to the three workers from ECI Wireless who were bolting down another massive steel section of the tower 120 feet overhead. “Good job, everybody,” Dahlkemper, wearing a hard hat, shouted. Emergency crews throughout Erie County are getting a long awaited update to their radio systems. 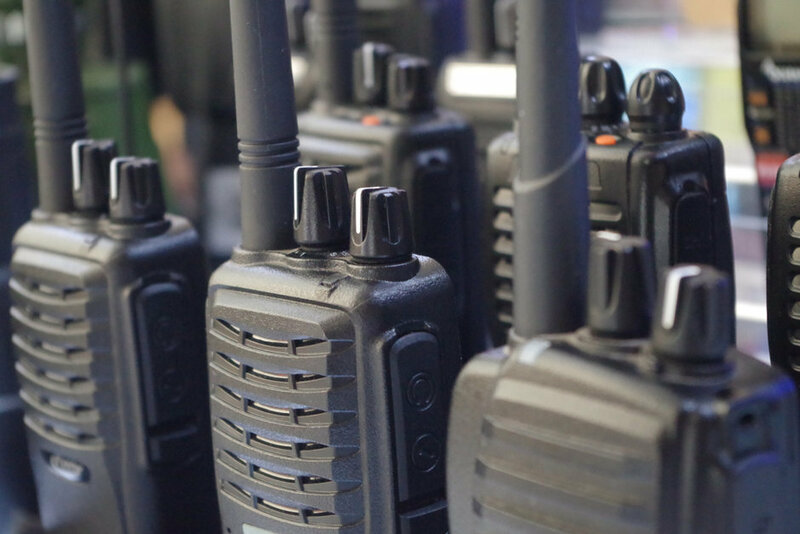 All emergency crews in the county will be equipped with a new radio system that allows them to communicate with other agencies who might also be responding. Before, crews from different townships were unable to communicate directly. Lycoming County officials have hinted at overhauling its public safety communication system on various occasions over the past year. On Tuesday morning, the commissioners heard a presentation from Michael McGrady, president of MCM Consulting Group, detailing that a study lasting longer than nine months showed such an overhaul will cost about $7.4 million. "That’s to build a system that’s going to last you for up to 20 years,” he said. “It’s a pretty good investment." The Summit County Consortium worked closely with MCM Consulting Group, Inc. to evaluate potential vendors that would meet the needs of all six PSAPs, which answer approximately 665,000 services calls each year. MCM Consulting was impressed by Tyler’s robust solutions and their features and functionality, which would fully integrate each PSAP’s respective systems, creating efficiencies between all agencies. MCM is also pleased to announce the hiring of James Matisko to the position of Vice President of Business Operations effective July 16, 2018. James comes to MCM with extensive knowledge and experience in the areas of emergency management, executive leadership, fiscal management and personnel management. James is a retired Lieutenant Colonel and served in the United States military for thirty-three years. James holds a Bachelor of Science from Pennsylvania State University, along with a Master of Science from the University of Maryland. As the Vice President of Business Operations, James will be responsible for the overall administration of personnel, operations and business development of the company. James can be reached at JMatisko@MCMConsultingGrp.com or 570-406-0225. MCM Consulting Group, Inc. (MCM), a public safety and telecommunications consulting company headquartered in Saint Marys, Pennsylvania is pleased to announce the promotion of Teresa Nelson to the position of Project Supervisor effective July 1, 2018. Teresa’s education and impressive experience in the areas of communications and project management have contributed to her rising status with MCM. During her time in the company, Teresa has displayed an ability to successfully complete projects efficiently and professionally. Teresa’s holds a Bachelor of Science (B.S.) from Florida Institute of Technology and Project Management Professional (PMP) certification. The staff of MCM congratulates Teresa on her accomplishments. Eight new towers being constructed for project. Nine existing tower sites are also being improved. Erie County’s $23.2 million next-generation public radio system project is taking shape. Work ramped up this past week on the construction of eight new communication towers and at the sites of nine existing towers. Those towers, scattered throughout Erie County, are part of an intricate infrastructure upgrade that will improve communication between emergency responders, their counterparts in neighboring communities and dispatchers. “They are working at a breakneck pace,” Public Safety Director John Grappy said of local contractors Perry Construction Co. and Keystone Electric. The project marks what public safety officials believe is a long-overdue transition to a digital platform. Safety forces now operate on a patchwork of frequencies, from low-band to UHF and VHF. Tioga County is located in North Central Pennsylvania. Its Department of Emergency Services’ dispatch center covers 2,550 square miles (6,600 square km), primarily for Tioga and Potter Counties, but also areas in McKean, Bradford and Lycoming Counties. 26 fire and EMS services, and 26 police departments are handled by Dispatch. Tioga County was looking to migrate from TDM to Ethernet technology and chose RAD’s solution based on recommendations from MCM Consulting Group, Inc. (MCM) and Tessco, a leading wireless system integrator and a RAD partner. Tioga County had decided to create a dual network path based on an existing DS3 microwave system that provides voice and data services for first responders. AKRON, Ohio - Summit County, Cuyahoga Falls, Stow and Tallmadge are taking the next step in the process of consolidating their public safety dispatch operations. The four communities, along with newcomers Fairlawn, Green and the City of Akron, announced on Oct. 11 their intention to hire MCM Consulting Group, Inc. to advise them on the implementation of the consolidated computer-aided dispatch (CAD) system and the possible consolidation of their dispatch operations. About $6 million worth of mobile and portable radios, as well as control stations, will be installed in police, fire and emergency medical services vehicles across the county starting later this month. New equipment for Erie County’s $23.2 million public safety radio system has arrived early and will be installed in police, fire and emergency medical services vehicles across the county starting this month. The goal of the “Next Generation Public Safety Radio System” project is to move the existing system and its users onto a common communications platform. Doing so will enable emergency responders to more effectively communicate with each other, including among different departments. The project was approved by Erie County Council in August 2015. MCM Consulting Group is managing the project and Texas-based E.J. Johnson won the bid to provide the equipment. Another company, Mobilcom, will install the mobile radios and control stations. Summit County and several local cities intend to hire a consultant to guide them in exploring a shared dispatch system, and perhaps even consolidation of their physical operations. If approved by their respective councils, MCM Consulting Group Inc. will advise the county and the cities of Cuyahoga Falls, Stow, Tallmadge, Fairlawn and Green on the implementation of a consolidated computer-aided dispatch system and the feasibility of an outright merger of dispatch operations. Akron has also asked to be included in discussions about joining a shared computer-assisted dispatch system, but is not included in talks concerning the consolidation of all dispatch operations. Earlier this year, the County of Summit and the Cities of Cuyahoga Falls, Stow and Tallmadge entered into a memorandum of understanding laying out the framework for a consolidated computer-aided dispatch system (“Consolidated CAD System”) and possible consolidation of dispatch operations. On Wednesday, October 11, 2017, those communities announced their intention to hire MCM Consulting Group, Inc. to advise the communities on the implementation of the Consolidated CAD System and the possible consolidation of their dispatch operations. The communities were joined by the Cities of Fairlawn and Green in both efforts and by the City of Akron for the Consolidated CAD System only. The City of Akron is not exploring a consolidation of its dispatch operations with the other communities. The Monroe County, Pennsylvania hazard mitigation plan was updated in a long-term planning process which occurred between July 1, 2015 and October 1, 2016. Due to the in-depth nature of hazard mitigation planning, Monroe County sought the services of MCM Consulting Group, Inc. (MCM), which has a vast span of knowledge in hazard mitigation planning. Monroe County and MCM initiated the planning process with the development of a multi-discipline local planning team, which included representatives from local business, academia, government, and the first responder community. A comprehensive capability assessment and a risk assessment were completed by Monroe County representatives and local government representatives. The capability and risk assessments give government and public safety representatives the opportunity to take a detailed, structured look at the hazards that could affect citizens, safety and infrastructure in their communities and county. The assessment also affords them an opportunity to look at their current ability to mitigate and recover from these hazards. In addition to county and local government representation, agencies including hospitals, museums, historical associations and educational institutions participated in the assessments. Erie County government’s multimillion-dollar public safety radio system is proving to be a less-costly proposition — in terms of equipment — than local officials originally projected. County Executive Kathy Dahlkemper’s administration said last week that the project, originally projected to cost $26.5 million, is slightly more than $3 million under budget right now due to lower-than-expected equipment costs. Those expenses are being closely monitored by MCM Consulting group, which is coordinating the public safety radio project for the county. Michael McGrady, MCM’s president and chief executive, also told the Erie Times-News that equipment purchases for the radio project are under budget. MCM Consulting Group, Inc. (MCM) announces the hiring of Jason Roblin, Senior Consultant - PMP. Jason joins MCM with extensive experience in 911 and emergency management, having served as a 911 coordinator and emergency management director for more than 10 years. With a B.A. in Business Administration from Ashland University, Jason is poised to lead clients and manage projects effectively and efficiently. As a senior consultant - PMP, Jason will be working on and supervising 911 and EMA projects for MCM. LOCK HAVEN - A new fiscal year means new contracts in front of the Clinton County commissioners. At Thursday’s meeting, the commissioners acted on contracts for updating the county’s hazard mitigation plan, repairing the parking lot at the county’s new building in the former Piper complex, and garnering more parking near the county building in Flemington. MCM Consulting Group, Inc. (MCM) announces the promotion of Tyler Haas, Project Coordinator to full-time employment. Tyler is a graduate of Penn State University with a B.S. in Geology. Since graduation Tyler has completed several Python programming language classes including a class on using Python to program and automate ArcGIS software. With this training, Tyler has created several tools for MCM clients. Additionally, Tyler has participated in a variety of emergency management training and been involved with the creation of several hazard mitigation plans. Tyler started with MCM in 2014 as an intern, accepted a part-time position upon graduation from Penn State, and became a full-time employee as of July 1, 2017. Tyler continues to work with MCM on GIS and EMA projects. Speaking at the opening of the fire service and local government symposium Saturday, County Commissioner Rick Mirabito urged the group to think about the future of area fire services. “From a bigger perspective, we have to think about how we’re going to deliver fire services not just two, three years from now, but really 20 to 25 years from now,” he said. MCM Consulting Group, Inc. (MCM) announces the hiring of Corbin Snyder, Project Coordinator. Corbin is a graduate of the Pennsylvania College of Technology with a B.S. in Emergency Management Technology. Corbin has experience working in emergency management, including an internship with the Maryland Emergency Management Agency. As a project coordinator, Corbin will be working with MCM on both EMA and taskforce projects. Due to 911 legislation passed in 2015 (ACT12), which funds a large percentage of all PSAPs operating budgets, non-county PSAPs in Pennsylvania are required to consolidate. The cities of Bethlehem and Allentown are both scheduled to lose their funding for their individual PSAPs in 2019. These cities are the last two municipalities to hold PSAP status and funding due to previous legislation. To determine the best approach to the pending consolidation, the counties and cities hired MCM Consulting Group, Inc. to conduct a PSAP study on the best way for the neighboring agencies to address the requirements. Their study revealed that implementing a common software system for Lehigh and Northampton counties would be the most efficient and best approach for better public safety. The project is currently $3 million under budget. Erie County residents can expect better emergency response in December 2018 when a radio upgrade project currently $3 million under budget is complete. That is according to project designers who updated emergency personnel from across the county Wednesday evening on the ongoing implementation of a next generation countywide public safety radio system. The public is invited to attend a meeting at which officials will provide an update on Erie County’s next-generation public safety radio project. Wednesday’s meeting will be facilitated by Mike McGrady, president of MCM Consulting Group, and John Grappy, director of the county Department of Public Safety. Finding ways to improve efficiency of and/or share public services — whether they be police, sanitary sewer, water or emergency communications — just makes sense. The cost of government just keeps rising, folks, and we don’t see a reverse of that trend anytime soon. So our elected leaders need to always be open to finding ways to reduce or stabilize costs to taxpayers without comprising important services. That’s why the Clinton County commissioners’ decision to spend $48,000 in Act 12 grant funding with a consultant who will pinpoint and recommend changes to enhance emergency communications into “shared regional services” should prove fruitful. Will there be cost savings? 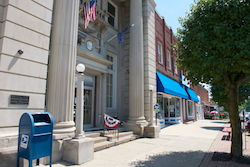 BROOKVILLE — The Jefferson County Commissioners passed a “modified” 2017 budget. The modifications did not reduce the $28,062,301 spending plan but reduced the amount the county would be forced to use from its reserves to balance the budget. The commissioners entered into a professional consulting services agreement with MCM Consulting Group along with the Northern Tier Regional Telecommunications project. MCM will aid the county in preparing and implementing the next generation of 911. Plans to combine Snyder and Union counties’ 911 centers at one location in Penn Township, Snyder County, for a savings in excess of $1 million and improved services are moving forward. About 60 emergency responders, law enforcement and community leaders attended a meeting Tuesday to hear the proposal pitched by MCM Consulting Group Inc. President Michael McGrady to merge the agencies in the next two to three years. (WBRE/WYOU) Two counties will combine 911 call centers. Union and Snyder counties have been weighing their options since January when they started a six month study on a potential merger. The biggest concern.. if they can save money while not jeopardizing service? Those concerns were raised today but the decision was made to move forward with the merger. IRVING, TEXAS – August 16, 2016 – EF Johnson Technologies, Inc. (EFJohnson), the mission-critical P25 communications specialist for JVCKENWOOD Corporation, has signed a $16.1 million contract with Erie County, Pennsylvania to deliver a secure P25 Phase 2 communication system, new radio fleet, dispatch consoles, and long-term support services to upgrade and manage its radio network. 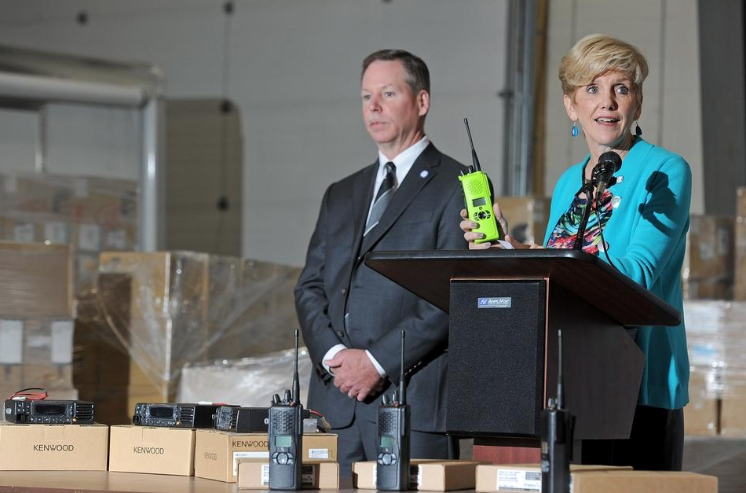 Erie, PA – Erie County Executive Kathy Dahlkemper on Tuesday announced a contract award to E.F. Johnson Co. as the radio manufacturer for Erie County’s Next Generation Public Safety Radio System. A consultant is recommending a Luzerne County 911 emergency radio communications system overhaul and upgrade that would cost an estimated $19.26 million and take several years to complete. WILKES-BARRE -- Luzerne County announced Monday that changes are coming to improve the response to emergencies. The last time Luzerne County 911 updated the system was about 20 years ago. In other Emergency Management Agency news, the county renewed its contract with MCM Consulting, which provides guidance to the department in many areas, including creating its Hazard Mitigation Plan. MCM Consulting Group, Inc. (MCM), a privately held education, government, healthcare, public safety and telecommunications consulting firm headquartered in Saint Marys, Pennsylvania announces the retirement of Edward Hoffman, Consultant. Ed was the company SME for training and HSEEP exercises. Ed also worked on EMA projects, including hazard mitigation planning. The staff of MCM wish Ed well with his retirement. MCM additionally announces the promotion of Valerie Zents to Consultant. Valerie has worked for MCM as a project coordinator. Valerie has excelled in service on her healthcare and taskforce projects, as well as in assisting senior consultants with EMA projects. Val will continue to work with the same clients as a consultant. The staff of MCM congratulates Valerie on her promotion. MCM announces the hiring of Teresa Nelson, Senior Consultant. Teresa has extensive experience in 911 and communications, including serving as the Director of Customer Support and Interoperability at the Pennsylvania Office of Public Safety Radio Services. Teresa also holds a Project Management Professional certification. Teresa holds a B.S. in Oceanography from the Florida Institute of Technology. As a senior consultant, Teresa will be working with MCM on both 911 and taskforce projects. Teresa can be reached at TNelson@MCMConsultingGrp.com or 814-203-6370. The Board of Bucks County Commissioners continued to reinforce its commitment to the public safety of more than 630,000 county residents during its June 22 business session. The meeting, which took place in the Commissioners’ Meeting Room of the Bucks County Administration Building, was scheduled expressly for the consideration of a pair of Emergency Communications contract resolutions. Commissioners Robert G. Loughery, chairman, Charles H. Martin and Diane M. Ellis-Marseglia, LCSW unanimously approved the two agreements – the majority of which was $2.042 million contract with Frontier Communications of America, Inc. of Norwalk, CT to provide hardware to complete a 911 telephone system upgrade and five-year maintenance agreement. The second contract was a $256,000 deal with MCM Consulting Group, Inc. of Saint Marys, PA to provide consulting services for the Computer Aided Dispatch system. Following debate about the bidding process (the hardware upgrade was a re-bid), Chairman Loughery noted that the meeting was scheduled because the resolutions involved “two significant projects, and much needed upgrades.” Commissioner Marseglia motioned to approve the contracts, and Commissioner Martin seconded the motion. The next meeting of the Board of Bucks County Commissioners will take place at 6 p.m. on Wednesday, July 6 at the Van Sant Airport, 516 Cafferty Rd., Erwinna, PA 18920. For a complete audio account of the June 22, 2016 business meeting, please visit the official county website, www.BucksCounty.org, and click on the “Audio from Last Mtg” link on the home page. For quite some time, we’ve all watched budgets dwindle in U.S. cities and counties, while government workers are challenged to do more with less. As a fire chief and former 9-1-1 director, I can certainly relate. And as an account manager for a 9-1-1 solutions provider, I’ve seen how advances in technology bridge the gap by connecting municipalities in ways that improve operations and reduce costs. We’re beginning to see more and more public safety agencies regionalize by uniting across their geographical boundaries to share resources and become more efficient. Regionalization also helps them keep pace with the latest technologies needed to protect and serve. Being in both worlds - as an emergency communications user and supplier - provides me a unique perspective on the entire regionalization process and the steps needed for effective implementation. Michael McGrady, President and Chief Executive Officer of MCM Consulting Group, Inc. was recently honored as the Citizen of the Year during a ceremony at the Erie County Firefighters Association annual banquet. Mr. McGrady and his company have been committed to the assessment, design and implementation of the Erie County next generation emergency communications radio system. The Erie County Firefighters Association recognized Mr. McGrady and his company for their deep commitment to enhancing communications for first responders. ALLENTOWN, Pa. - A consultant, Jonathan Hansen of MCM Consulting Group, Inc. recommends creating a regional Lehigh Valley 911 emergency communications center. That center would consolidate separate 911 centers now operated by Allentown, Bethlehem, Lehigh County and Northampton County into a single comm center under one roof. ALLENTOWN — A 911 regionalization study has recommended merging the Allentown and Bethlehem 911 centers with Lehigh and Northampton counties, respectively, in the next two years with an eventual goal of creating one regional center. A 911 regionalization research has really helpful merging Allentown and Bethlehem’s 911 facilities with their respective counties within the subsequent two years with an eventual objective of making one regional middle. Regional 911 center makes sense for Lehigh Valley, study finds. The Lehigh Valley should have a regional 911 center but it's unlikely a full consolidation could happen ahead of when state funding runs out in 2019, according to a study. Erie County government will host two public meetings Monday to update citizens on the $26.5 million public safety radio system project for local emergency responders. NESCOPECK — In small Nescopeck Borough, radio coverage can be spotty. Some parts of the borough are dead zones where calls to 911 from portable radios don’t go through. The borough is tucked next to the Susquehanna River, across from Berwick, and the spotty connection is worse in the spring and summer when foliage is blooming on the hills around the valley, said Paul Nye, borough council president. Police who couldn’t make calls with portable radios have switched to using cellphones if they need to call 911, he said. Nye said the communication issue has existed for about five years, but some changes could be coming. No sirens went off as Bethlehem’s police, fire, ambulance and emergency communications operations had their proposed 2016 budget requests reviewed by City Council Thursday night. The focus was on public safety during the second of five hearings scheduled on the proposed $73.85-million city budget. They are the only two cities in Pennsylvania that still operate their own 911 centers. State officials are pushing for consolidation to create regional centers. MCM Consulting Group has been hired to develop a strategic 911 plan for the two cities and two counties. Flooding and high wind storms are natural hazards that have typically plagued Lawrence County. But the Pennsylvania and Federal Emergency Management Agencies want counties throughout Pennsylvania to plan for any type of disaster and put that planning on paper so they can qualify for funding and assistance following any type of a large-scale emergency. The higher agencies also are demanding the input and participation of individual municipalities in the document, showing how they will respond should larger-scale emergencies arise within the county's borders. BETHLEHEM, PA - Bethlehem officials have taken the first step toward determining the future of the city’s 911 emergency communications system. City council on Tuesday unanimously approved hiring MCM Consulting Group Inc. to develop a strategic 911 plan for Bethlehem, Allentown and Lehigh and Northampton counties. That study could lead to a merger of city and county 911 centers, which is being pushed by the state to supposedly make such operations more effective and cost efficient. Allentown, Bethlehem and Northampton and Lehigh counties are going study whether they should share 911 dispatch services. The study, which will start in September, will look at both whether all four entities should merge dispatching and also whether Bethlehem should join with Northampton and Allentown should join with Lehigh. ALBION -- Public safety in Erie County will be getting a boost soon. Erie County Council voted 6-1 on Tuesday night on a $26.5 million public safety radio system for emergency responders. Before the vote at the Elk Creek Township Building, Erie County Executive Kathy Dahlkemper said the vote would culminate more than one year of work on the project to date. She thanked council for a project she said is "very, very important for the county." Mansfield University hosted a table top exercise with the North Central Task Force on July 20 to familiarize local emergency responders with assets offered regionally. Exercise conducted by MCM Consulting Group, Inc. The primary concern of those in attendance was the necessity of constructing a new building on land adjacent to Cora Clark Park off Pine Street when a number of vacated properties are currently available for purchase. The land was part of the former Talon property. MCM Consulting Group Inc., the county consultant on the project, considered a number of vacant buildings, according to Mike McGrady, the group’s president and chief executive officer. EDINBORO -- Erie County government is moving ahead with a significant financial commitment toward a planned new $26.5 million public safety radio system for emergency responders. It's considered one of the largest investments by Erie County government, aimed at protecting the community. Leaders of the “Next Generation Radio System” met with the public to give an update on the project. The $26.5 million project will allow first responders to broadcast on the same frequency. Right now, they operate on different channels. The upgrade is expected to take three to five years. In phase one, members of MCM Consulting Group are trying to acquire FCC licenses. They're also trying to pinpoint where to build new communication towers. According to MCM Consulting Group President Michael McGrady, they hope to have a total of 20 towers available, which includes 11 new and nine that already exist. Erie County government officials and the consultant for a $26.5 million countywide radio network for emergency responders will host a public meeting to give updates about the project. Lebanon County stands to save hundreds of thousands of dollars and end up with a new 911 Call Center should the Pennsylvania Legislature approve funding formula changes to the surcharges placed on phones, an emergency communications consultant told the Lebanon County commissioners on Wednesday. Mike McGrady, president and CEO of MCM Consulting Group, was fresh from testifying before the state House Veterans Affairs and Emergency Preparedness Committee Wednesday morning about amending the E-911 law that helps fund 911 Call Centers when he presented the commissioners with the results of a Regional Shared Services Assessment. Erie County council members unanimously voted to approve another contract to the MCM Consulting Firm. 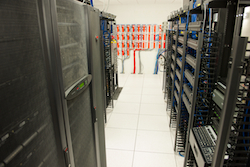 MCM Consulting is responsible for implementing the $26 million radio system. Officials say the upgrade will replace the county's current system and will benefit 37 municipalities. MCM Consulting Group, Inc. (MCM), a privately held education, government, healthcare, public safety and telecommunications consulting firm headquartered in McMurray, Pennsylvania announces the hiring of Robert W. Anderson as Senior Consultant. Robert joins the MCM team after serving as a public safety consultant for the past 10 years. Robert’s background includes serving as the Director of Emergency Services, Director of Communications and the Emergency Management Coordinator for Hunterdon County, NJ. As Senior Consultant, Robert will serve as a Project Manager for 911, emergency management, education, healthcare, HSEEP training and exercises, public safety and telecommunication projects. Robert will be working out of Doylestown, PA and can be reached at: RAnderson@MCMConsultingGrp.com or 267-614-5485. Erie County Council Chairman Kyle Foust wants to make one thing clear: he and most of council's seven members support establishing a new, multimillion-dollar state-of-the-art radio system for local emergency responders. That is a major reason why the panel plans to meet with the county's radio system consultant Dec. 16 to ask more questions about financing, equipment and the project's probable timeline. Foust asked for the meeting with Mike McGrady, chief executive of McMurray-based MCM Consulting Group Inc. The meeting will be at the Erie County Courthouse. Erie County Executive Kathy Dahlkemper, along with Public Safety Director John Grappy, is pleased to announce that the Erie County Department of Public Safety will host a Town Hall Meeting at the Albion Fire Station, 13 Smock Avenue, Albion Borough on Tuesday, October 28, 2014 from 6:00 PM – 8:00 PM to discuss the County’s radio project. In conjunction with the Erie County Department of Public Safety, the Next Generation Radio System Needs Assessment and Strategic Plan Report will be presented by Mike McGrady of MCM Consulting Group. Erie County Executive Kathy Dahlkemper and Erie County Councilwoman Carol Loll are expected to attend. MCM recommends that Erie County replace the current radio, microwave and radio console equipment and systems as soon as possible because they are so crucial to public safety. On the afternoon of Oct. 2, Jim Pyle lived through another example of what he considers the fractured, potentially dangerous radio communications system that many local public safety responders deal with. "I've had five structure fires in the past two years where this has been an issue. ... I'm 10 feet away from (another department's) trucks, and I can't talk to them," Pyle said. "It's endangering firefighters. It's endangering the general public. Using the system we have now, someone's going to get injured or killed." A new independent study backs up complaints that Luzerne County’s 911 Center is understaffed, recommending the addition of 15 full-time employees. The center is currently budgeted for 77 full-time employees, and the proposed 2015 budget did not increase that amount. Luzerne County 911 Executive Director Fred Rosencrans sought the study, which was completed by MCM Consulting Group, Inc., after the center was criticized for dispatching emergency crews to the wrong location in a May 15 fatal blaze. The AFSS acquisition will enable MCM Consulting Group, Inc. to increase its level of service in HSEEP Exercise, Emergency Management, Regional Task Force Management, Healthcare and Education Agency Training, and Hazard Mitigation Planning. MCM will also be able to offer Active Shooter exercises including the utilization of the Simunitions Training Weapons system, which is considered a “real world” training system for law enforcement. The Haas acquisition allows MCM to provide an added dimension to projects already managed by MCM as well as to incoming projects, allowing the company to provide expanded GIS, addressing and mapping services. 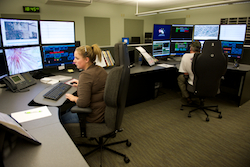 TEMECULA, Calif., June 19, 2013 – Cassidian Communications, an EADS North America company, has completed installation of its VESTA®/Sentinel® 4 Next Generation 911 (NG911) call taking system for seven of the nine counties in the northern tier of Pennsylvania. The new NG911 system makes it possible for all nine counties to be part of a single regional network – the first in the state – designed to reduce costs and improve survivability for their Public Safety Answering Points (PSAPs). The Northern Tier Regional Telecommunications Project, encompassing the counties of Clearfield, Jefferson, Elk, Cameron, McKean, Clarion, Warren, Crawford and Forest, complies with the Pennsylvania Emergency Management Agency guidelines for 911 infrastructure. Partnership with other counties cut cost sharply. Mike McGrady with MCM Consulting, the consultant coordinating the project, said if each of the regional member counties purchased the necessary equipment on their own, total cost would be $3.159 million. The regional cost brings that down to $1.3 million. He explained that each county will also see a reduction in yearly maintenance costs as well. He said Warren County's share of the maintenance will be approximately $13,000, down from $39,685 if the county maintained their own equipment. 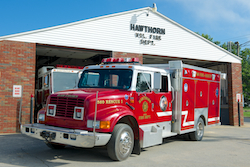 In a cost savings and redundancy of services effort, nine counties in Northern Pennsylvania worked together to upgrade to a Next Generation 911 Telephony System and a diverse and redundant Fiber Network. The counties of Cameron, Clarion, Clearfield, Crawford, Elk, Forest, Jefferson, McKean and Warren have worked together as one entity to create a regional network and improve technology and operations while saving costs to their individual counties. Implementation of this project started with Cameron and Elk Counties going live on the system May 1, 2013. Clearfield and Jefferson County will be the next two counties to go live on May 15, 2013 and May 16, 2013. All counties will be live by June 30, 2013. The average cost for replacement of a single county 911 telephony system would have been $394,875.00 (total combined cost to all the counties would have been $3,159,000.00). The average yearly maintenance for each county would have been $45,242.69. On the new system the average county shared cost is $162,513.09 ($1,300,104.72 total for the region). The average yearly maintenance per county is $21,730.12. These nine counties all received notice from their current telephony switch manufacture about the end of life for their legacy era 911 telephony switches. In determination to provide the best 911 redundant response, they began the process with MCM Consulting Group, Inc. (MCM), of McMurray, PA in January 2011. MCM reviewed their systems which lacked redundancy and were not interconnected or capable of Next Generation 911. Therefore, the counties could not transfer 911 calls between counties with automatic location identification or automatic number identification. The Northern Tier entered into agreements with Cassidian Communications, Inc. out of Temecula, California, for the Next Generation 911 (NG911) Telephony System and Zito Media for the IP fiber network. The system design includes a Cassidian Geo-Diverse Vesta 4.0 Next Generation 911 telephony system, with one NG911 switch located in the Windstream territory, and the second NG911 switch located in the Verizon territory. Each switch is capable of running the entire network in the event of a failure of the other switch. Each county is connected to switches on diverse and redundant fiber paths. For added redundancy to the system, all of the county 911 trunks are directed to the Verizon Tandems. From the tandems, one half of the counties 911 trunks are connected to the switch in Elk County and the other half are connected to the Clearfield County switch. Also in an effort to reduce costs, non-emergency and administrative telephone lines connect to the individual county workstations at the public-safety answering point level. This system is also capable of providing transport and connectivity for systems including but not limited to: computer aided dispatch; graphical information systems; radio interoperability system; and emergency management functions, including interfacing with a State-wide emergency services IP network (ESInet). What does this mean for the general public? If a 911 Center’s phone service is down, for whatever reason, in one county, your 911 phone call will not go unanswered. Someone from another county will pick up that call, providing necessary emergency information to the caller; while still being able to send information to the dispatchers in the county in which the call originated, with all of the necessary location and number identification – in one fluid motion between counties. With the installation of a new radio network and Zetron’s MAX Dispatch system, Clinton County Pennsylvania’s Department of Emergency Services (CCDES) is now narrowbanding compliant and equipped with a dispatch system that provides updated functionality, improved interoperability and future readiness.